LAUNCH 2019 was a spectacular success! Thank you to everyone who participated and came together to make it a valuable event for education, networking and moving credit unions forward. From the credit union roundtables and the Protege competition to the Foundation Awards Gala, breakout sessions and the trade show floor – the feedback has been amazing. You can see the educational breakout session presentations that we are able to share on the top of the Agenda page. If you have comments, reviews or suggestions, you can email info@carolinaslunch.com with your feedback. Put it on your calendar to join us at our new location next year. January 29th and 30th at the Le Méridien Charlotte. An invaluable resource for the region’s credit union community, the event features keynote and breakout sessions, an extensive trade show, pre-conference workshops, the Carolinas Credit Union Foundation Awards Gala, and CUaware Protégé Competition Finals. This event is ideal for all levels and most departments within your credit union, including specialists, managers and directors in the areas of operations, compliance, security, IT, communications, and more. LAUNCH is truly a unique opportunity to find out how to meet tomorrow’s challenges today. 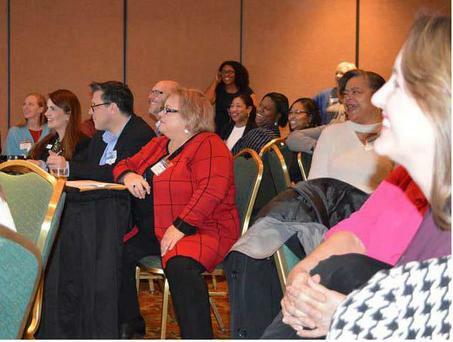 You can take advantage of any number of activities including the Credit Union Roundtables, the Protégé Mentor Workshop, the Carolinas Credit Union Foundation Awards Gala and of course the LAUNCH conference and trade show. Return soon to see our outstanding and growing agenda. Check the Attend page to get more information on each segment of the event and to register. Prices are incredibly low for this outstanding two-day event, starting at only $75. A multitude of sponsorship and exhibit opportunities are available for all product and service providers. See the extensive benefits available and choose the right option for your company.